The AD RescueWear RescueSuit is a body suit made of soft stretchy Tencel (R) that covers your baby or child neck down. Conceived by eczema mom Beth Scott, it is designed as an aid for wet wrapping for eczema, and can also be used for dry wrapping. It features fold over mitts to cover the hands when needed as well as fully enclosed feet. The neck down full coverage is important in providing a protective layer from scratching. The Tencel (R) fabric is excellent for gently hugging your child’s skin. Traditionally, parents have used tight fitting cotton pajamas for wet wrapping. However, I have yet to find cotton pajamas which are able to fit a child’s body as well as this RescueSuit. Additionally, the wet cotton pajamas end up heavy, bulky and bunchy when used for wet wrapping. This RescueSuit molds to the body so that the damp fabric is right next to the skin and really is superior for wet wrapping. Another benefit I have found of the body molding RescueSuit is that bulky diapers do not rub against thighs as much — this sort of rubbing can incite eczema and itch. This suit can also be used for dry wrapping and worn day to day. It is an added protective layer to protect the skin from scratching and because of the body molding fit, can easily fit under outer garments. The AD RescueWear RescueSuit is very helpful for those of you whose children benefit from wet wrapping. Watch the YouTube demo on how to wet wrap with the RescueSuit. You may have to practice a couple of times to become as adept at putting the suit on as the mom in the video. The AD RescueWear RescueSuit retails at $105. You may want to have a couple on hand as they are delicate and should be air dried flat, so that would cost a couple hundred dollars. The suit costs significantly more than cotton pajamas, but at the same time, they are actually designed for wet and dry wrapping. Check out the AD RescueWear website as well as The Eczema Company’s website to look for sales and promotions. All in all, as a dermatologist and eczema mom, I found the AD RescueWear Rescue Suit to be a helpful item to have and would recommend it to other parents of children with eczema. For the month of March, use the code DERM10 to receive 10% off from The Eczema Company. The ScratchMeNot Flip Mitten Sleeves are a unique way of protecting little ones’ nails and fingers from damaging their own skin, hair and nails. An alternative to traditional mittens, they are worn like a shawl over the child’s normal clothing. The ends can flip open or closed. When closed, the exterior of the mitten is silk. When open, the exterior of the mitten is cotton. The shawl part of the sleeve is a blend of organic bamboo viscose, organic cotton and lycra. They are available for babies and children ranging from 3 months to 6 years old. 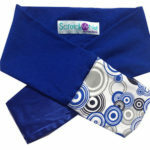 These sleeves are useful for babies and children who scratch themselves, especially those with eczema or atopic dermatitis, or other skin issues. They are also useful for children who pull out hair or have a habit of nail biting. The ScratchMeNot Flip Mitten Sleeves were designed by eczema mom Andrea Thomas and it shows. – The external silk mittens are gentle on skin. I have yet to find baby and kid mittens that are made of silk. The traditional mittens and flip sleeves attached to onesies are cotton. Silk is much smoother and decreases the amount of damage rubbing can do to the skin. Even rubbing with cotton can lead to thickening (what we call “lichenification” in dermatology) which can worsen the skin condition and itch. – These sleeves stay on. The mitten portion is attached to the shawl portion. Babies and kids are really good at getting traditional mittens off. These stay on. – They are easy to flip open and closed. This is important because you aren’t going to just flip them closed and leave your child that way all day. There are often predictable times when your child will scratch skin, pull hair or bite nails — e.g. when she/he is tired or fussy, during diaper changes, at night when her/his inhibition is decreased, etc. In anticipation of these times, you can close the mittens. The rest of the time, you can keep the mittens open. This may also decrease your anxiety over whether you child won’t have enough open mitten time to learn how to use her/his fingers and hands. – They are easy to get on and off. The shawl part is a mix of bamboo viscose, cotton and lycra. It has just enough stretch so that you can put it on easily, but not so loose that your child can work her/his way out of it. – They are relatively affordable. There are so many products that target parents of eczema babies and kids. Some of them are very costly. These are relatively affordable and there are often deals through the ScratchMeNot website or The Eczema Company. As a dermatologist and eczema mom myself, I give these ScratchMeNot Flip Mitten Sleeves 5 stars. DermBytes readers get 10% off at the ScratchMeNot website with the code: Dermbytes. “Yay! More zits,” said no one ever, upon waking up in the morning and looking in the mirror. Acne can cause a lot of anxiety and even depression depending on how bad it is. The good news is there is help and you are not alone. Actually, acne vulgaris is the most common skin disorder in the United States and nearly 85 percent of all people have had acne at some time during their lives, according to statistics from the American Academy of Dermatology. Acne most often begins during teen years (as we can all attest), but can follow into adulthood. It occurs most often on the face, chest, and back which are areas that have a large number of oil glands. Acne lesions are caused by a combination of overactive oil glands that produce oil, along with the build-up of dirt and bacteria and irregular shedding of dead skin cells. Contrary to popular belief, acne is not caused by chocolate or dirt or eating greasy foods. Although there is a link between the amount of oil produced in the skin and acne, the amount of oil is not created by food. Instead it is caused by changing hormone levels like those during puberty or cyclical hormonal changes in a female’s menstrual cycle. When an oil gland opening (called a pore or hair follicle) becomes clogged with skin’s natural oils, dirt, dead skin cells and bacteria, a comedo forms. We often call those blackheads (open comedo) or whiteheads (closed comedo). Additionally, the surrounding skin can respond by becoming red and inflamed, appearing as small red pimples (pustules or papules) or it can get infected and cause deeper, large and more painful nodules and cysts. These larger, deeper cysts and nodules can cause scarring, so you always want to get treatment from a dermatologist to avoid permanent pits and discoloration. Oily, moisturizing products, cosmetics and many sunblocks can further clog up pores causing excess oil to get trapped. Look for formulas that say, “non-comedogenic” on the label, which means, “non-pore-blocking” or use cosmetics that are oil-free. Heat, humidity and excessive sweating amplify skin inflammation. Be sure to wash off excess sweat, dirt and oil after excessive activity, especially after exercising or in the summer months. Picking or squeezing acne lesions with fingernails or other objects causes acne to look worse and may result in further infection and deeper, permanent scarring. Lesion removal (called acne surgery) should only be done by a medical professional. Acne Surgery (including corticosteroid injections) performed in a dermatologist’s office to extract blackheads and to open and drain whiteheads. This helps prevent pustule and cyst development, which are the main causes of acne scarring. Inflammatory lesions (pustules, pimples and cysts) are often injected with low potency cortisone to decrease inflammation and help an acne lesion disappear quickly. These intra-lesional injections also help decrease the remaining discoloration that can occur when acne is resolving. Isotretinoin, an oral prescription medication can permanently help severe or troubling cystic acne (you may remember it by the brand name Accutane®) or poorly responsive acne that improves less than 50% after 6 months of combined traditional treatment. About 85% of patients treated with isotretinoin see permanently clear skin after just one treatment course. Chemical peel (e.g., TCA) is a non-toxic chemical (trichloroacetic acid) that is applied to the skin. It has been used for over 20 years and works by drying up the top layers of skin cells, causing them to peel off. The old skin is removed and a new undamaged layer is revealed. Oral antibiotics can help manage the severity and frequency of acne outbreaks. There are a number of oral antibiotics used depending on the type of acne you have. Topical lotions, creams or gels containing benzoyl peroxide, antibiotics (e.g., clindamycin and erythromycin) or salicylic acid are known to kill bacteria, unplug pores, exfoliate and decrease inflammation. Topical retinoid medications help other acne medications absorb better, have an anti-inflammatory effect and also speed up cell turnover so pores can’t clog. These include Retin-A® (tretinoin), Differin® (adapalene) and Tazorac® (tazarotene). Laser or light treatments (e.g., Blue Light, Infrared Light) are designed to target and eliminate acne-causing bacteria and decrease inflammation. Androgen blockers (e.g., spironolactone) have been used in acne for years. They decrease the amount of oil that is produced by oil glands and are also effective in those female patients who also have excess hair growth. Oral contraceptives have been shown to improve acne by normalizing hormonal spikes and reducing testosterone and progesterone, the hormones responsible for hormonally-induced acne. This may be especially helpful in women with acne along with menstrual irregularities or hirsutism (facial hair growth). Read and follow any label, package or doctor’s instructions exactly for any acne product or medication you are using. If medications are to be applied at different times of the day or in a particular order, follow the regimen exactly because that’s how it is designed to work. Treat the acne-affected area (e.g., face) entirely, not just individual pimples (don’t spot treat), so the medication can prophylactically prevent future breakouts. Never pick, pop or squeeze your pimples because that often causes more damage to the pore resulting in permanent scars, pits and discoloration. A dermatologist can offer you acne surgery done properly by a medical professional in the office. Keep your hands (and the bacteria on your hands) away from your face. Constantly touching your face can cause more infection to inflamed, irritated or open skin. Reduce the amount of oily face makeup. Try to use a makeup that is oil-free and always wash it off at night before going to sleep. Gently cleanse the acne-affected area; scrubbing inflamed skin (whether from acne itself or as a side effect to acne treatment) can be more irritating. Use a cleanser your dermatologist recommends for your specific skin type twice per day and use warm (not hot) water. Avoid using over-the-counter alcohol-based astringents, which strip your skin of it’s natural oils, and stick to only products and medications your dermatologist recommends. Avoid excessive sun exposure as many acne medications (including Retin A®,oral antibiotics and isotretinoin) make your skin more sun-sensitive. Always use a non-comedogenic, broad spectrum sunscreen recommended by your dermatologist daily to prevent your acne lesions from becoming darker and pigmented. The most recent research on acne and inflammation found that people with acne (and more severe acne at that) had lower levels of antioxidants in their bloodstreams and that both oral and topical antioxidants can potentially be used in treating acne. That means a more nutritious diet of fruits and vegetables is more important to acne patients than we thought, and can only help. 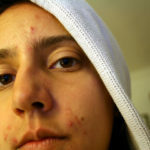 Finally, acne treatment regimens usually require 6-8 weeks of treatment before results are noticeable. Don’t give up and stop treatment if you do not see faster results and don’t stop treatment if you notice some preliminary clearing. After 8 weeks, if you see no improvement, your dermatologist will adjust your treatment or suggest different therapies to try. Board-Certified in Family Medicine and Dermatology at the Orentreich Medical Group in New York City. She runs a patient Question & Answer blog at Orentreich.com/blog. How do you clip your baby’s nails? So what are some ways to make keeping your baby’s nails short easier? Use a nail clipper designed for babies. No, do not use your adult-sized nail clippers. They are too large and the blades may be too thick. If you’re struggling to see your baby’s nails, look for a clipper with a little magnifying glass. Try baby nail trimming scissors. 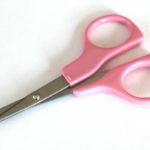 Those with the rounded tips may be best if you worry about poking your baby with sharp scissor tips. Try this Zoli electric baby nail trimmer. It has little “sandpaper” like pads that buff the excess nail away. Each pad is meant for a different age range. Just be careful, held next to skin, these pads can also buff away skin! Try a good ol’ fashioned emery board. This may be slow going though and it may be hard for your baby to keep still as long as you need to do an adequate job. Today, we have the opportunity to learn more about the story behind the ScratchMeNot products. Founder Andrea Thomas shares her story dealing with her children’s eczema and how that inspired her to develop the ScratchMeNot Flip Mitten Sleeve. Can you share your story as an eczema mom? My story may sound familiar, yet it was very new to me at the time! I was a first time mom that wanted to know everything about everything about being a mom! I wanted to do everything right. Ha! When my daughter was born, something innate happened. I knew I’d do anything for her. When her eczema crept in overnight around age 2 months, I became her advocate. From doctors visits to research & intuition, I did everything I could to fight her eczema. In the meantime, my husband and I, dealt with this seemingly uncontrollable scratching that kept getting in the way of any progress we made. We couldn’t get a handle on it. I had never seen anyone scratch with such intensity, especially a baby. How did you get started with ScratchMeNot? During her extra scratching moments, that was all I could focus on. I couldn’t take time to research the way I wanted, doctors were leading me to steroids and I was VERY sleep deprived from co-sleeping day & night with a scratching baby. I knew I couldn’t continue at this rate, I needed to find a solution to bridge the gap. I designed the ScratchMeNot to do just that! They bridge the gap to stop scratching fingers from damaging delicate skin so parents can focus on stopping the skin from itching. I also knew I wanted my daughter to have plenty of hands free moments for her to interact with the world. All of these thoughts, plus dreaming of sleeping again, helped me create the first ScratchMeNot. Tell us about your new product, the FlipMittenBody. I’m so excited! Our Flip Mitten Sleeves are amazing on their own, as kids can wear them with just about anything. Yet, the Flip Mitten Body is an all-in-one scratching solution for babies, toddlers and older children that need extra protection. They’re also extra easy for caretakers to flip the mittens closed during scratching moments. Plus they go up to age 4T which is uncommon for onesies. Have you connected with other eczema parents who have used your products? Can you share some success stories they have relayed to you? Whenever I get feedback like this, it really inspires & propels me forward to help families in need of a scratching solution & hopefully provide them with information on how to start healing eczema from the inside out! Today we feature an interview with Julie Block, President and CEO of the National Eczema Association (NEA). Over the past 5 years, Julie has been leading NEA’s mission to support and educate patients, and promote scientific progress in the fight against eczema. The National Eczema Association (NEA) is the premier patient-oriented eczema association in the United States. Can you share with us how NEA started? Originally the organization was called the National Eczema Association for Science & Education (NEASE) and was formed in 1988 in Portland Oregon. Dr. Jon Hanifin, a preeminent dermatologist and eczema researcher, knew that his patients battling this chronic condition needed more support and information. He, along with Nurse Practitioner Susan Tofte and patient Irene Crosby started a patient support group, and the rest is history as they say. The association moved its headquarters to California in the early 2000’s, and has been on a solid trajectory providing eczema education, support and funding research, ever since. What is the mission of the NEA? NEA improves the health and quality of life for individuals with eczema through research, support, and education. How did you become President and CEO of the NEA? I have devoted my career to non-profit leadership and am privileged to serve NEA now. How have you seen NEA grow over the past 5 years as leader of the NEA? NEA continues to educate and support more and more eczema sufferers and their loved ones each year. As well, we have funded close to $500,000 in eczema research. One of the biggest changes has been communication through social media channels, as you can imagine. NEA has increasingly engaged in advocacy efforts – for example, ensuring access to phototherapy, and for increased federal research funding to NIH. Our outreach to physicians has been ongoing during this time to provide eczema resources that improve their patients lives. Support, awareness and education are very important for patients and families with eczema. What is the biggest piece of advice you have for our readers without eczema in how they can support patients and families with eczema? Great question! Don’t tell anyone “Stop Scratching”…its near impossible and just makes the person with eczema feel bad. How can readers get involved with the NEA locally or nationally? Your readers can get involved in a host of ways: participate in a local Itching for a Cure Walk! Create a team, fundraise, and join the entire eczema community across the nation in either a virtual walk or the national walk being conducted that year. We always are in need of magazine article submissions, and website content that is personal. Start a local support group with an eczema patient and or caregivers – its easy! Clinicians and researchers will have an increasing opportunity to get involved in NEA advocacy to improve eczema care and assure access and affordability. Stay tuned. Over the years, NEA’s support of scientific research has been critical for advancing our understanding and treatment of eczema. Can you share some of the most exciting findings of these projects that NEA has supported? Two specific NEA seed funding projects come to mind. First, Dr. Eric Simpson of OHSU studied eczema prevention in high risk infants. This research grant was parlayed into an international effort to study the same, and was awarded NIH funding. Secondly, Dr. Gil Yosipovitch received two research grants from NEA on itch, specifically Pruritus in Atopic Dermatitis using Arterial Spin Labeling Functional MRI and The Effect of Visual Stimuli on Itch Perception Intensity in Healthy and Atopic Dermatitis Patients. These projects too led to NIH research grant funding and have contributed greatly to the body of research knowledge on the underserved study of itch. So much work remains to be done in eczema. What exciting projects is the NEA currently supporting and what endeavors will NEA be undertaking in the coming years? Now, for the first time in decades, there is a healthy pipeline of new eczema drugs in development, including the first biologic drug for eczema. All this development will bring profound change for eczema atients. It will also bring misconceptions and bewilderment as patients, payers, medical practices, government and medical academia all scramble to understand eczema’s changing healthcare landscape as it retains to their respective needs. NEA wlll soon launch a Roadmap to Advocacy to usher in this Decade of Eczema. The roadmap is a blueprint for change, a vision that will propel NEA into a leadership role in this new era of transformative care. Today, we feature an interview with Laura Veralla de Bertotto (LVB), CEO of VMV Hypoallergenics, and her mother Dr. Verallo-Rowell (Dr. VR), a dermatologist and dermatopathologist who helped found the company with her husband. VMV Hypoallergenics was found in 1979 to provide hypoallergenic skin care products. How did you decide to start VMV Hypoallergenics? LVB: My mom started it basically because she had so many patients who needed options and it was her research interest. She trained under doctors who really believed in patch testing, and she saw an increasing number of patients with contact allergies and acne. She also had trouble finding options for them without allergens and began making formulations without them. My father was a patient with adult acne which she cleared and, after they were married, urged her to sell them commercially. She balked at the idea of promoting a commercial brand (we still have to send her med reps 🙂 so the compromise was: she would remain the “cook” (formulating and publishing papers based on her research) and he would handle the business, but couldn’t use her name (she agreed to “VMV,” her initials). What is the mission behind VMV Hypoallergenics? LVB: The safest, most proven effective care on the planet. At the time that my mom started, there wasn’t a lot of understanding of hypoallergenicity. There still isn’t all that much regulation for the term. She created the VH-Rating System which is like an SPF rating for skin safety: the higher the rating, the more allergens are NOT in the formulation. It was the first of its kind, is still the only such rating system of its kind and is published in one of the leading contact dermatitis journals. And it’s objective, based on published allergen lists from leading organizations who regularly do patch tests on thousands of patients. In addition to safety, she wanted efficacy (she’s a dermatologist-dermatopathologist, after all, and handles hospitalized patients…so efficacy is a must). From our earliest days, we backed our claims with evidence-based clinical studies (randomized, double-blind) and she published many of them in peer-reviewed medical journals. That’s pretty much the heart and soul of all that we do. How has VMV Hypoallergenics evolved over time? LVB: Her patients and our clients have “forced” us to evolve 🙂 She saw an increase in peri-oral dermatitis, we made a toothpaste for it. We saw an increase in rosacea needs and there not being a hypoallergenic option, we made a line for it. Her research showed melasma due to visible light exposure from indoor light…we made an indoor-outdoor sun and light screen for daily use. And our own family’s needs have shaped how we’ve grown. When I was pregnant, I didn’t see any fragrance- and allergen-free options…considering our genes (I’m fragrance-allergic and had acne; my husband has rosacea and seborrheic dermatitis; my sister is a walking sneeze 🙂 I begged my mom for a baby line. And it’s turned out to be so helpful to other parents with kids with sensitive skin. We started with a very simple regimen then grew to offer over 300 SKUs for men, women and children of all ages, from skincare to hair-bath-body care, makeup and more. How have you brought your knowledge as a dermatologist and dermatopathologist to the company? LVB: My mom is the consummate researcher. She STILL sleeps at crazy hours, nose deep in a journal or eyes stuck to the laptop screen…still researching, researching, reading, reading, writing, writing. What she reads, what her patients show her, how they react to her formulations…all this goes into our products. The nice thing, too, is that as a dermatopathologist, she has such a strong understanding of skin CELLS and diseases. This may sound like overkill for cosmetics but it has given us a far better understanding of why, for example, virgin coconut oil is so effective (its fatty acids are native to skin; it improves the balance of cell walls; it provides barrier repair and anti-microbial action) than simply reading a supplier’s documentation. As a dermatologist who’s both a researcher and a clinician, she gets to see a tremendous amount of patients and explore innovative treatments with them. We benefit from this greatly…and when we put a formulation into production, so do the patients. And, from its inception, she’s published her research, which has gone into new formulations, then products, which then helps to fund more research, etc. in a wonderful cycle. DR. VR: It’s interesting because I never think of myself as the company. I see patients and think of new formulations based on their needs and my research. Almost everything starts as a formulation in our pharmacy and clinical studies. If we see something really helpful to patients, I’ll mention that it address certain needs and then the kids take it from there. I don’t get involved in the commercial aspect of it. It’s been a great experience in terms of innovative treatments because I really get to try new things that excite me and see wonderful results with my patients. – Earlier this year, we had a mom contact us because her 4 year old son was diagnosed with contact dermatitis but had misdiagnosed twice before he had a patch test (and because his back was too small, he had to have it done twice!). He had been prescribed steroids, but he turned out to be allergic to it. He was miserable — his mom was sleeping with him at night because he was so itchy all the time he would scratch in his sleep until he bled. We started him with a 7-day skin fast, where he used minimal products, and then he began using our Boo Boo Balm on the ‘rashy’ areas. It worked — it calmed his skin down significantly, so much so that his mom asked if we could get a custom tub for him since they were using so much! His skin is so much better now, using the Essence Bath/Body products for prevention. – We had another mom reach out to us because her daughter had curly, hard-to-tame hair, but every shampoo and conditioner she used caused contact dermatitis around her neck, and seborrheic dermatitis on her scalp. She also started with a 7-day skin fast, and then was able to use the Essence Clark Wash and Conditioner. The conditioner is a godsend because it means post-bath time is a much easier time for mom and daughter! – A wonderful customer of ours wrote in to say how she couldn’t use a shampoo for 20 years before finding ours. – We have a customer with chronic discoid and subacute cutaneous lupus erythematosus who wrote us a very heartfelt letter because she can finally stop wearing gloves and hats (Armada 70 sunscreen protects her perfectly). LVB: We’re making allergen-free options in kid’s makeup and face paint, our laundry detergent, US monograph sunscreens, and several more in the pipeline. How can you treat cracks and fissures over hand eczema? Example of hand eczema. courtesy of Wikipedia user Haendels. Cracks, fissures and splits often occur over hand and foot eczema that has been left untreated. Here are some tips to help prevent cracks from appearing and to reduce the pain from cracks. Prevent the eczema from occurring in the first place! Practice good dry skin care practices. If there is sign of eczema starting, catch it early and treat it before the cracks develop. Liquid bandage can be used to seal small cuts, fissures, and cracks including those on the hands and fingers. Vaseline. The ointment may need to be frequently applied. To learn how to apply liquid bandage, click here. You may need to use your hands for work or chores. Reduce the amount of irritation and exposure to these cracks by adding a protective layer. You can slip gloves on over protective ointment as well. Bacteria, especially Staph bacteria, likes eczema. If there are signs of infection over your eczema, you may need an antibiotic ointment or even an oral antibiotic. Let your healthcare provider guide you on the appropriate therapy. Today we feature Kelly Northey who created the Bamboo Bubby Bag for eczema and learn about her story. Kelly is also mom of an eczema child. What was your inspiration behind the Bamboo Bubby Bag? The Bamboo Bubby Bag was born back in 2010, when I was a new mum to a 6 month old baby, who while was completely gorgeous, had suffered eczema since he was born. Thanks to the discomfort this caused him, he’d barely slept longer then 30-40 minute stints day or night for that entire time. To call us sleep deprived was an understatement! We tried everything we could possibly buy from pharmacies to give him some relief while we waited for doctor and specialist appointments, but nothing really seemed to help a lot. We quickly found that there’s often no quick fix for eczema and each day seemed a month long when nothing seemed to solve the ongoing battle we had with sleep every single day. We found that some of our baby’s sleep time scratching was minimized while he was young enough to be wrapped or swaddled tightly (as long as he didn’t fight his way out of it, which he often did), but this all changed dramatically when at 6 months of age he learnt to roll, meaning an end to being able to be wrapped safely, as babies need access to their hands to be able to roll themselves back over. I started then using baby sleeping bags with him and found that it was long sleeved ones that worked best as I could use a larger size and try to fold over the ends of the sleeves so he couldn’t scratch as much, however all the long sleeved ones were designed for cold weather and being an already hot, flaring eczema baby were too hot for him and yet all the lightweight summer type ones which he slept better in were sleeveless. So one day out of frustration I made him one that was of a fabric that wasn’t too hot or too cold for him and with enclosed sleeves that could be adjusted as he grew (another frustrating and expensive thing is having to upgrade sleeping bags every few months) and this worked fantastically for him! Having his hands enclosed with a soft fabric meant he was still able to have the free arm movement required roll around in his cot as needed but the damage he could do to himself from scratching was drastically minimised and for the first time his skin was getting a chance to heal. The sleeping bag also had the added bonus of helping to keep his layers of creams on his skin longer which also helped a lot. What was your motivation behind starting Bamboo Bubby? Once we had used the first version of the Bamboo Bubby Bag for a little while and could see how beneficial it was to our son and that it worked alongside other treatments both natural and conventional, the seed for the Bamboo Bubby business was planted when I would take his sleeping bag with him to day care and the childcare workers would all tell me how great they thought it was and just how many other babies they’ve known over the years who could have used one! I loved the idea of being able to help other families just like us and so I started the process of finding a way to manufacture them, sell them online and also started the Bamboo Bubby Facebook page. The rest is history and Bamboo Bubby has grown dramatically in the past four years here in Australia as well as overseas including online stores in New Zealand (www.bamboobubby.co.nz) and the UK (www.bamboobubby.co.uk) to allow our products to arrive to parents faster. We also have stockists and distributors all over the world including the US and have fantastic partnerships with complementary product manufacturers like ScratchMeNot in the US who create the ScratchMeNot Flip Mitten Sleeves and Body Suits which we distribute here in Australia and New Zealand as part of the Bamboo Bubby range and also Soothe in the UK who have create a range of eczema pyjamas for adults. How did you see your child change after using these products? The change for our baby after using the Bamboo Bubby Bag for just a few sleeps was quite dramatic. He used to scratch his head a lot and within minutes left alone in his cot would have scratched badly, causing bleeding, infection and a never-ending itch-scratch-wake cycle. By having his hands covered in super soft fabric, this scratching damage was minimised and his sleep started to improve. The other great bonus for us in using the Bamboo Bubby Bag was that the sleeping bag became part of his bedtime routine and a sleep queue for him. When we’d put him in it, he’d associate it with calm and peace and it helped a lot to also minimise some of the anxiety we all had around bedtime after so long without proper sleep. He’s now 4 years old and while he no longer fits in his Bubby Bag, when he gets a bit sick and run down or has an eczema flare up he will still go and find his Bubby Bag and likes to sleep with it like a comforter blanket! Can you share some stories from other parents with eczema children? I hear A LOT of eczema stories back from customers, so many that I’ve started collecting them and publishing them on the Bamboo Bubby Blog because while everyone’s eczema journey is quite unique, we often all do feel the same frustrations and isolation when it is our babies especially who are suffering it. Reading the stories of others in the same situations can really help during this time as well as the fact that these stories are full of helpful tips and tricks that someone else might not have thought of yet or heard about to try! Have you found health care professionals to be knowledgeable about products for kids with eczema? We found the allergy clinic specialists very knowledgeable about products to help our child with eczema and did come away from appointments with names of products to go and buy and try which was great. We’re also continually working now to make Bamboo Bubby products known to these specialists so word of them can get to the people who are needing them the most. What is the most helpful advice you have been told regarding eczema? What is in store for Bamboo Bubby’s future? I’m really excited about the way Bamboo Bubby has grown in such a short period of time to now be helping thousands upon thousands of children worldwide with our unique range of specially designed bamboo clothing products. The future is also exciting as we have in development a new version of the Bamboo Bubby Bag for warm climates. Bamboo Bubby is also starting to ‘grow up’ and into a new range called Bamboo Buddy that will help older children with eczema as well as many adults who continue to suffer the condition. We aim to be able to soon help soothe sensitive skin across all ages and help everyone get a good night sleep! Today, we feature an interview with AD RescueWear, the company the produces Wrap-E-Soothe clothing and sleeves which make wet wrap or dry wrap therapy easier. What was the motivation behind starting AD RescueWear? Beth Scott, President of AD RescueWear, has a son with eczema. Beth’s son Harrison was diagnosed with full body eczema and a staph infection. She was told to wet wrap her son at home by her son’s allergist. At this time, the only option in the U.S. was a home-made wet wrap therapy system that included wet cotton pajamas, tube socks and duct tape. It was less than ideal! The wet cotton pajamas were baggy and rough and since they didn’t stay close to his skin, they were cold. She had to put wet tube socks over his hands to treat and prevent scratching which were also heavy and baggy. Her son kept removing the tube socks covering his hands, so her child’s physician recommended duct taping the wet socks on her child’s wet cotton pajamas. When she went in the crib the next morning, her son had blood all over his face from using the duct tape to scratch! At this point Beth decided there had to be a better way to wet wrap. When she couldn’t find specialty medical undergarments for wet and dry wrap therapy for treating eczema, she decided to invent and manufacture them herself to help her child and all the children suffering throughout the world. The Wrap-E-Soothe product line was designed for quick, effective treatment that is also comfortable and soothing for the child. What was the inspiration behind each of the products? Beth saw firsthand how effective wet wrap therapy was for stubborn eczema. It can be life changing for a family struggling with eczema. Eczema can be so miserable for the child and the parents. Studies report that when a child has eczema it can affect the entire family. These studies report eczema can cause poor family relations, poor work performance in parents from sleep deprivation and affect children’s performance in school including learning disabilities in children from drowsiness and itching. Eczema can also negatively influence social relationships as eczema can be unsightly and others may think it’s contagious causing the child to feel excluded and isolated. The inspiration behind the Wrap-E-Soothe products are the suffering children. Wet wrap therapy through the Wrap-E-Soothe products give parents a tool to successfully manage their child’s eczema. Beth spent two years searching for the right fabric and when she discovered all of the great attributes of Tencel® she knew it was the perfect fabric for wet wrap therapy. It is one of the softest fabrics in the world and stays soft even when wet. There is a small amount of spandex added (6%) for stretch, so the garments are easy to put on and stay close to the skin for effective treatment unlike cotton that gets baggy, loose and uncomfortable when wet. The fabric is eco-friendly and has a wicking effect that not only cools the itch during treatment but greatly inhibits the growth of bacteria on the fabric. The anti-itch properties of the Tencel® fabric is what helps calm the itch during treatment allowing the whole family to get some sleep while the wet wrap therapy treatment heals the skin barrier. AD RescueWear is very proud to offer the Wrap-E-Soothe product line that is not only quick and easy for the parents yet comfortable and soothing for the child. We are the only company worldwide to offer these features. Did you work in collaboration with your child’s health care professional? Beth did consult her child’s physician, Mark Ebadi, MD with Colorado Allergy and Asthma Centers and he introduced her to Mark Boguniewicz, MD, Professor, Division of Pediatric Allergy-Immunology, Department of Pediatrics, National Jewish Health and University of Colorado School of Medicine who she was also able to consult about the Wrap-E-Soothe product line. How did you see your child change after using the Wrap-E-Soothe products? Beth saw a huge difference after just one night using the Wrap-E-Soothe products and it was much easier and comfortable to manage her son’s eczema. He used to scratch all night at the back of his knees and she would wet a wash cloth and hold it on his eczema. This was tiring. Her son has eczema on his calves and behind the knees so when she sees the eczema start to flare, she uses the Wrap-E-Soothe pants or sleeves under his regular pj’s and this clears the eczema and allows him to sleep through the night. We receive phone calls and e-mails from parents all over the world that say our products have been life changing for their families. Below are a few favorites. We have found that once the health care professional sees how wet wrap therapy can manage eczema through our products they start recommending it for their patients. Correct daily skin maintenance and learning the eczema triggers will help control and manage eczema. Eczema triggers can be irritants such as laundry detergent and soaps and also allergens such as pets, pollen and dust mites. Or it can be a food such as dairy and gluten. If you can find out what the triggers are you can remove them from your child’s environment and minimize symptoms. Correct daily cleansing of the skin to wash away any allergens is very helpful. Daily skin maintenance and using “The Soak and Seal” process before wet and dry wrap therapy can manage eczema and allow the skin to heal. We recommend using Vaniply after soaking in the tub. It is a wonderful skin protectant and seals in the moisture from soaking in the tub. We recommend people visit the National Eczema Association for products given their Seal of Acceptance at www.NationalEczema.org. We also developed this great graphic to easily explain the wet wrap therapy process for parents. Please see below.